The sacramental rite of the church in which two persons "enter into a life-long union, make their vows before God and the Church, and receive the grace and blessing of God to help them fulfill their vows" (BCP, p. 861). The union is understood to be intended by God for their mutual joy; for the help and comfort given one another in prosperity and adversity; and, when it is God's will, for the procreation of children and their nurture in the knowledge and love of the Lord (BCP, p. 423). At the Declaration of Consent, both persons promise to love, comfort, honor, and keep their spouse, in sickness and in health, and, forsaking all others, to be faithful to their spouse as long as they both live (BCP, p. 424). In the Episcopal Church it is required that at least one of the parties be a baptized Christian, that the ceremony be attested by at least two witnesses, and that the marriage conform to the laws of the state and the canons of the church. Can I get married at St. Monica & St. James? Blessings on your engagement! We are glad you are seeking out a church wedding to have God part of your special day. You and your future spouse need and deserve the support of the Christian community in your married life. Thus we suggest that in seeking out a church wedding, you are also making a commitment to regular church attendance and involvement. 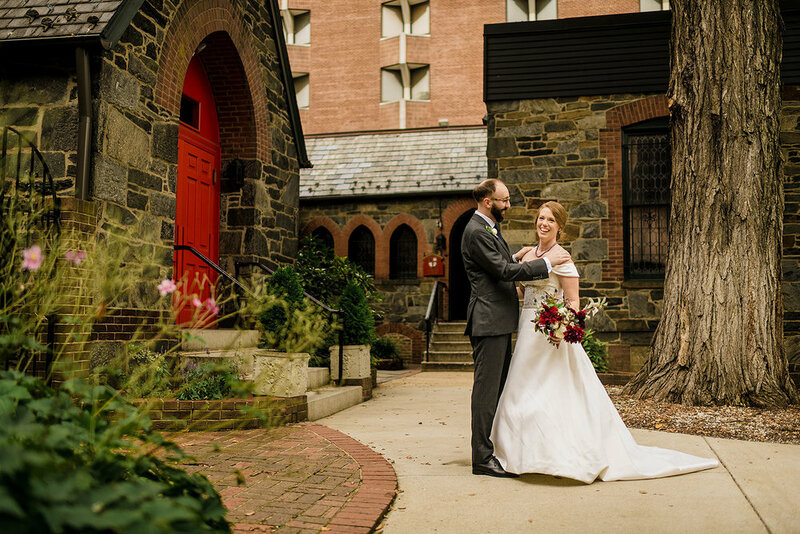 St. Monica & St James, in accordance with the policies of The Episcopal Church in Washington D.C. is inclusive in offering the sacrament of Marriage to couples, regardless of gender. To prepare for your wedding, Father William will meet with you four to eight times to discuss Christian marriage, your relationship, and to plan your service. We use the marriage services from the Book of Common Prayer and other approved Episcopal resources. Please contact the Parish Office to schedule a time to meet with Father William to begin planning your marriage service. I’m divorced and would like to get remarried. Can I do that at St. Monica & St. James? Yes. The Episcopal Church recognizes that some marriages die and that some may choose to be remarried. For couples who have been married before, there is an application that should be started six to nine months before the wedding date. It is not at all a difficult process, there is no cost, and it can be very beneficial to couples, but there does need to be some advance planning.